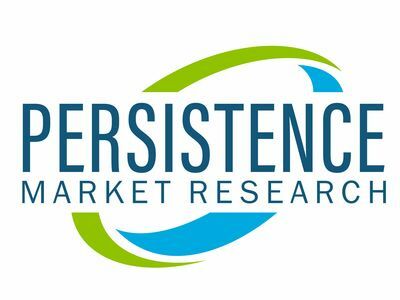 NEW YORK, April 3, 2019 /PRNewswire/ -- The latest report by Persistence Market Research, titled 'Flax Protein Market: Global Industry Analysis 2013–2017 and Forecast 2018–2027', provides some vital insights on the global flax protein market in terms of value and volume. The report states that, the global flax protein market was valuated at around US$ US$ 48 Mn in 2018, which is expected to grow at a CAGR of over 5.5% from 2018 to 2027. PMR provides some vital insights on the global flax protein market with several forecasting factors in the report. Besides a high-fiber and seed profile, flaxseed is loaded with various vital nutrients, and is considered equivalent to soybean in protein content. Flax protein has been in use in various food and beverage products such as dietary supplements, bakery products, confectionaries, functional beverages, sports nutrition, and dairy products. The global flax protein market is competitive and well fragmented. The supplements segment under end use is expected to hold the largest share in terms of both, value and volume, over the forecast period in the global flax protein market. The rapid growth of the supplements segment is due to the growing demand for dietary supplements fortified with plant protein. The growing demand for plant-based proteins as well as the growing vegan population are prime factors that are driving the growth of the flax protein market. By end use, the energy & sports nutrition segment is expected to grow at a high CAGR of 9.1%, due to the increasing penetration of plant proteins as well as increasing preference for plant-based proteins. By region, APAC is expected to hold a relatively high market share of 26.9% in terms of value share by 2027 in the global flax protein market. This region is expected to create an absolute dollar opportunity of US$ 10.63 Mn between 2018 and 2027. This growth is due to the rising demand for dietary supplements and sports nutrition. Growing awareness about the inclusion of proteins in various food products is one of the prime factors for the growth of the global flax protein market. North America currently holds the largest share in the global flax protein market, but is expected to grow at a low CAGR since it is already a mature market. The market in Latin America is expected to show growth at a CAGR of 5.8% in the global flax protein market. By nature, the conventional segmentation is expected to hold a prominent share of around 95% by the end of 2027, and grow at a CAGR of 5.7% in terms of value. This growth of the conventional segment is due to easy availability as well as lower prices as compared to the organic segment. However, the organic segment is expected to grow at a CAGR of 5.5%, owing to the on-going 'move to organic' trend and increasing demand for clean products. The report provides market insights & analysis on the market competition which companies and suppliers are adopting for tapping opportunities in flax protein market. At the end of the flax protein market report, a complete competitive landscape of key players in the flax protein space is offered. Key product offerings, long- and short-term strategies, as well as the global presence of key players have been provided in this part of the flax protein market report. The report also highlights the recent developments in the global flax protein market. The key industry players in global flax protein market are Clearspring Ltd, THINKITDRINKIT, Austrade Inc., Natunola, Leader Foods Oy, Glanbia plc, Omega Protein Corporation, Organica Vita Ltd and others. Competitors are focusing on new product development for catering the growing consumer needs.